There are lots of influential women who have changed the world and shaped the role of women for today and for the future. But the most influential woman I know is my own mother. She was born in Herat, and she is an angel for me. I learned from her how to be strong. My life is different from hers in many ways, but I learn from her the lessons of life. Raising and taking care of seven children is not easy. She has five daughters and two sons and two of her children died. Her first child and her third child were toddlers when they died because of the lack of doctors in the village. At that time there were not a lot of educated people in the village, and so my mother did not learn to read and write. As a result she has always tried her best to ensure that both her sons and daughters are educated. My mother is a housewife. Her career is to take care of her house and her children. She has a strong, kind, smart, respected, and influential personality. She has a successful marriage that was arranged by her parents. Although my mother is illiterate and my father is literate, they are very happy with each other and respect each other. My mother also is proof that it is never too late for learning and that if we want to work hard we can become successful. A year ago my mother began going to a literacy course near our house and I see lots of good changes in her life because of it. She can dial phone numbers, read and write her name, and understand signs. I have learned so many valuable lessons from her, like how to keep warm, sincere, and strong family connections. She teaches me the importance of respecting all people and teaches me love and to be loved. She gives me wise advice and encourages me to study while she works. She wakes up early every day to prepare breakfast. I study hard in my lessons and this is how I try to pay back my mom for doing all these things for me, even though I don’t think that there will ever be a way to pay her back. My life today is very different from my mother’s life. She grew up in the village and I am growing up in the city. We have new, improved technology, the economy has changed, and now most girls have access to education. In my mother’s time so many girls married at a very young age; most of them were not allowed to study. Their fathers or brothers or new husband would not allow them to go to school or work outside of the home. Men are more open-minded today compared with the past. Like my mother, my parents will arrange my marriage, but not at a very young age. First I will complete my education, get a job, and become independent. I want to study to become a doctor. Today I wish my mother happiness, health, and so many good things in her life. Thank you Mom, I love you with all of my heart and you are my hero. This is a wonderful, loving tribute to your mother. I hope you will read it to her and let her know that we can all see from your description what a good, kind, intelligent person she is. She sounds like a strong role model and I’m sure your own children will one day be raised with the same kind of generosity of spirit because of her. Your mother is a good role model. I deeply admire her for believing in herself and learning to read as an older adult. Your essay shows that with love and respect, one can lead a good life. You are lucky to have her. Good luck to you in your studies and thank you for writing a beautiful essay honoring your mother. 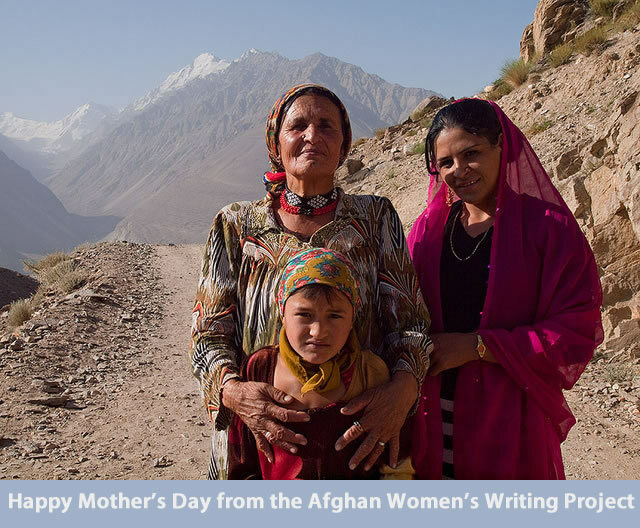 Your mother’s story highlights the strength of all mothers around the world. Your mother gave her life to make sure that all of her children lived a life where they got an opportunity to go out in the world and do something. Even with huge setbacks in life, she pulled through and brought you to the point where you are living in the city and making a difference in the world. Her story reminds me of my mother who gave up her job just to take care of me and my brothers. Your tribute highlights all the difficulties that one goes through and the story makes me want to appreciate my mother more for all the time and effort she has put into me. Your attitude towards parents is something that every child should have.